We have all found ourselves in the position of reviewing an MSB Building Valuation and comparing it to a building's current valuation on the policy. While the policy reflects the building valuation as replacement cost, the insurance policy actually responds providing a reconstruction cost. What’s the difference you ask? Replacement cost is defined as the cost to construct or replace an entire building with equal quality and construction. A replacement cost does not include site improvements, demolition, debris removal, fees, premium material costs and other costs associated with the construction process. Replacement cost also assumes that current building material, design or layout will be available and used. Reconstruction cost is defined as the cost to replicate the building, at current construction prices, using the like kind and quality materials, construction standards, design, layout and quality. The MSB reconstruction cost includes additional expenses related to repair and restoration contractors’ fees, the construction process itself, the location of the property, demolition costs and debris removal. 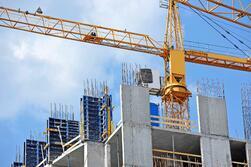 These factors create a valuation that is higher than a new construction. A cost provided by a builder for new construction will not include items provided for and included as property items within the ISO Commercial Property form (CP0010). The MSB Rating system is programmed with these additional costs. If you have questions about your Commercial Insurance Policy, contact a knowledgebroker at R&R.